After a medium meals, the hunger was gone, but not the interest for some extra snacks. Atmosphere is a bit cool, perfect for a hot round of spicy snacks. Emotional level is somewhat normal, not so sad, not so happy. The packets are 5 /- pack, ie ‘Less than 100 calorie pack’. 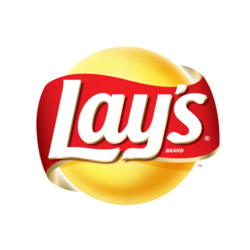 Lays never failed to amaze me with their brilliant designs and color combinations, which had become a standard for the rival products. The light green shade was so relaxing to the eye. The packet bursts open, releasing a spicy, delicious smell with that creamy onion touch. The little specks of green leafbits over the wafer gives it a green occlusion. The taste is little over sugary, then moving to salty. The saltiness is mixed with slight, very slight punch of the onion powder which unleashes its flavour. One interesting observation is that, the effect of onion flavor persists for a certain time, so that you can eat each wafers with long intervals. Brand New flavour. The packet of bright red shows the hint of tomatoes and spicyness. The aroma of tomato sauce is a regular one that of Spanish lays. It has an interesting shape, a denser one, which looks like eye-shaped slices sticked together. Tasting it. The sudden burst of delicious and rich tomato flavour is nice. Spicy, salty and delicate.The breaking pieces spreads the spicyness around your mouth. A slight punch of chilli-ness gives an extra effect, hot chilli. Bright yellow color. First ever lays to make entry, and yet exists till now. The Classic, says it all.The Fresh smell of fried potatoes mixed with a smooth salty aroma, the classic smell that no other flavor could provide. The wafers are raw fried potatoes. Salt is sprinkled, trapped inside the grooves, makes sudden jumps when you eat. The effect of a simple Salt is profound in this flavour. Even though this is a reference flavour, one which may be defined as a base taste, you feel like some hidden spicy flavour is existing somewhere in those wafers. Some mysterious Flavour, that makes you buy it next time too. Now in a mild hunger state. Little tensed , but atmosphere is cool. I believe that moods can make a big difference in taste. This one’s a big packet. Packet is of Beautiful Orange tinted design. One strange observation i’ve had is that, this flavour is the least numbered relative to other flavours in a shop. And also this one doesn’t have a Large Share Pack. Strange ! The Spicy smell of Chilli hits my nose the moment i opened the cover. You could forsee that chilli flavor you are about to taste from that delicious aroma. Orange tinted Wafers speaks of the light chillness. Tasting it, the mysterious fusion of salt and sugar hits first, slightly unravelling the spicy build up which builds up that Hotness, doing justice to its flavour Name. Eating each wafers gives you waves of hot n sweetness till you empty your packet. Just before sleep, opened a packet of spanish tomato tango flavor. It has a bright red color that even spanish bulls are even attracted to, so bright red that it shouts tomato all along. Housefull Pack’ they call it. Yeah, compared to normal Lays content, this small packet of kurkure can be considered housefull. Kurkure doesn’t have a special attractive powerful smell, other than a typical spicy north indian snacks. Tasting it, the masala rich, spicy & salty non-uniform sticks is a delight, especially with a tea/coffee. It also has that right amount of chilly/pepper effect that will vanish after a short period of time. There are a lot of spices distributed randomly so that every stick will give you a different effect more or less. Blue color lays always stands out among the common shades of red and orange flavours. Well it turns out the color wasn’t only thing that stands out, but taste too. The smell is fresh and so captivating aroma of spices, although it may smell a bit artificial at times. Tasting it, and you goes wow. The spicyness cover the saltyness, so that your mouth just breaks each wafer to get that taste out of it. Its an aggressive flavour, unlike other calm flavours, you can feel it. A definite flavour for every indian, which reminds those spicy history. Every tasting was done in my room, calm and quiet atmosphere, and most important of all , ‘ALONE’. The taste can differ greatly when you are eating with your close friends, which differs from when you are eating with family and also when you are eating alone in public, eating when you are busy etc. Many flavours makes great combo as an addon to another delicious foods too. Next story Birth and Death of a Blog !